Spring is here!!! Well maybe not officially but I’m going to pretend that it is. We’ve had some pretty nice weather here in Austin for the past few days and BOY am I happy! It’s strange going outside and seeing the sun! Anyway, with better weather comes better attitudes lol. I just feel good that I don’t have to worry about cloudy rainy days. So what better way to celebrate this than to give back and host a giveaway!! 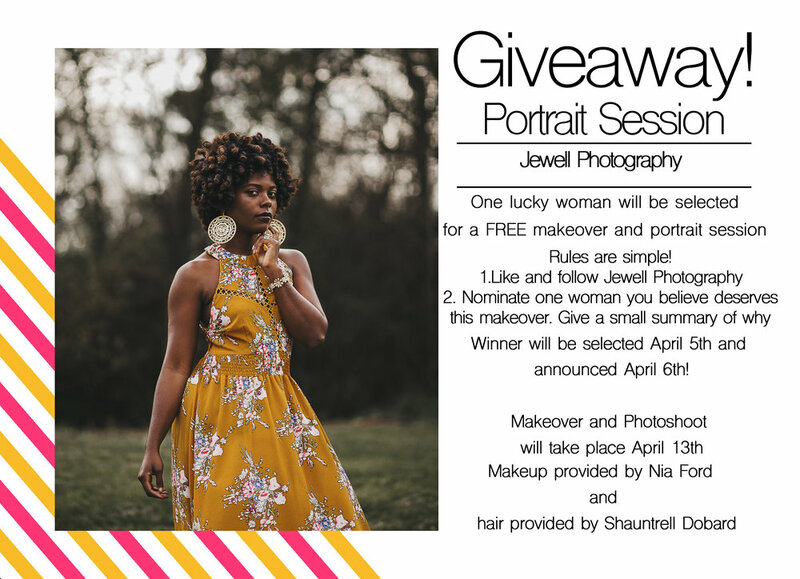 I want to gift one lovely lady a free 1 hour portrait session that includes….wait for it…. HAIR AND MAKE UP!!! Every woman deserves to get dolled up. It’s perfectly fine to focus on YOU. I have to give a huge shoutout to Nia Ford for offering her makeup services and Shauntrell Dobard for offering her hairstyling services. I’m extremely excited about this and I hope you are as well! SO there are a few simple rules that you need to follow. Nominate one woman that you feel should receive this makeover and portrait session. (you can also nominate yourself if you want! Post your nomination on my FACEBOOK page or leave a comment here on this blog. No DM’s or personal messages. Tell us why you picked your nomination. This shoot is for Austin and the surrounding area residents only. That also includes Round Rock, Georgetown, Pflugerville etc. The winner will be selected on April 5th and announced April 6th. The shoot will take place on April 13th.